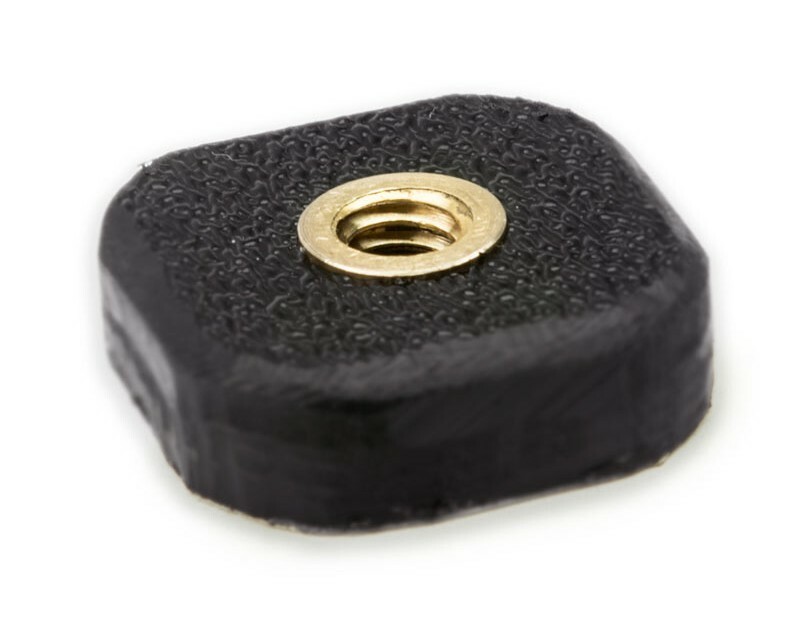 The Rock Solid Mighty Mount is a tiny adhesive 1/4″-20 tripod adapter mount that can be placed on any device that needs to be mounted. The Rock Solid Mighty Mount is a tiny adhesive 1/4″-20 tripod adapter mount that can be placed on any device* that needs to be mounted. Attach device to tripod, Hot Shoe, video rig, flash bracket, or Extension Bar (all sold separately). This indispensable little adhesive adapter allows you to mount phones and photography, video, or audio accessories that do not already have a 1/4″-20 tripod thread. *If you are planning to adhere the Mighty Mount on a CamRanger take caution to not to cover the serial number on the bottom of the unit.